This was a tough choice between Grey Gardens and Wisconsin Death Trip, because James Marsh is such a muscular filmmaker. James Marsh has fingerprints all over the way people think of documentary filmmaking, that it can be in cinemas, it can be big, ambitious, and a thriller. 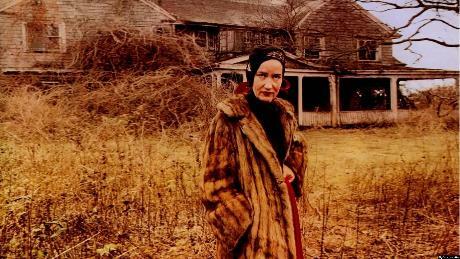 But I would say Grey Gardens has had a bigger impact on me. Little Edie is one of the finest characters ever on film, the way she engages and flirts with the camera – you can see her creating her own portrait as you are watching the film. They are decadent and camp in a delicious way, and she is so stylish – I like that film very much. The film has a lot of space and breath in it. I like that decadent squallor. I met Albert Maysles a few years ago and got to put his glasses on. And then then Steven went to Indonesia to make a film, I would joke that me and my daughter were becoming like the Little Edie and her mum.